Cape Town is an absolutely stunning destination well worth the trip. It's a modern, urban destination which feels very different from the rest of the African cities and countries I experienced. The different neighborhoods and areas remind me quite a lot of Sydney, another one of my favorite places. Victoria & Alfred (V&A) Waterfront. A great place in the middle of the city to go shopping for decent local handicrafts, food, or just to take in the great city and water views. Table Mountain. It's tough to miss. Cape Town is built around the mountain and making your way up to the top provides unforgettable views of the surrounding area. There's a unique revolving cable car which makes a complete 360 degree turn as you head up or down so everyone gets a good view. Robben Island. Nelson Mandela's prison home for decades. It's advisable to book at least one to two days in advance to get the right ferry timing. Cape of Good Hope. Rent a car and drive down to the southwestern most point of Africa. There's great scenery along the way and it's a nice ride to the top of the mountain where the views are. Boulders Beach. On the way to the Cape of Good Hope, stop by to see the Boulders Penguin Colony. Stellenbosch Wine Route. A short drive from Cape Town are countless wineries you can visit, have lunch at, or even stay overnight. The Delaire Graff Estate seemed to be one of the nicest we stayed at, although had horrible service at the restaurant and ended up leaving hungry. There's really no shortage of things to see and do in this gorgeous destination. Bobotie - a traditional South African dish. Delicious! Camps Bay - an affluent area of Cape Town. Very beach community feel with stunning mountain scenery all around. Simon's Town, just south of Cape Town. A quaint little place worth visiting. Delaire Graff Estate, a winery and boutique hotel near Cape Town. Beautify but, yeesh - horrible customer service! My trip to Nairobi was brief. Primarily we needed to connect from the Serengeti back to South Africa and it didn't seem possible to do in one day, so we ended up extending the layover and making a mini-trip out of it. This aircraft took us from Seronera air strip in the Serengeti to Kilimanjaro Airport where we connected to Nairobi. Nairobi itself seems like an urban destination which I don't think I would go out of my way to see. It seems like there are many more interesting places in Kenya to visit. We did a day trip which included seeing the Karen Blixen Museum (Meryl Streep's Out of Africa is based on Karen's life). While it was a nice place, generally I was underwhelmed. Much more interesting was the Nairobi National Museum. It's a great opportunity to learn about the country's history and see more on what we all know about evolution. One of the most interesting things you can see here is Turkana Boy - the oldest prehistoric complete skeleton ever found, dating back about 1.6 million years. Our accommodations were quite nice at House of Waine, which is a boutique hotel in one of the suburbs. The grounds are quite nicely manicured and the staff is very friendly. It's very rare these days to visit a place that has not been heavily influenced by western society. New options and continually decreasing costs of transportation means that more people are traveling more places. Usually that means 7 Elevens and KFCs are opening in more and more locations. While that brings some convenience and familiarity, it's easy to see how that also means unique qualities of a place are eroded. 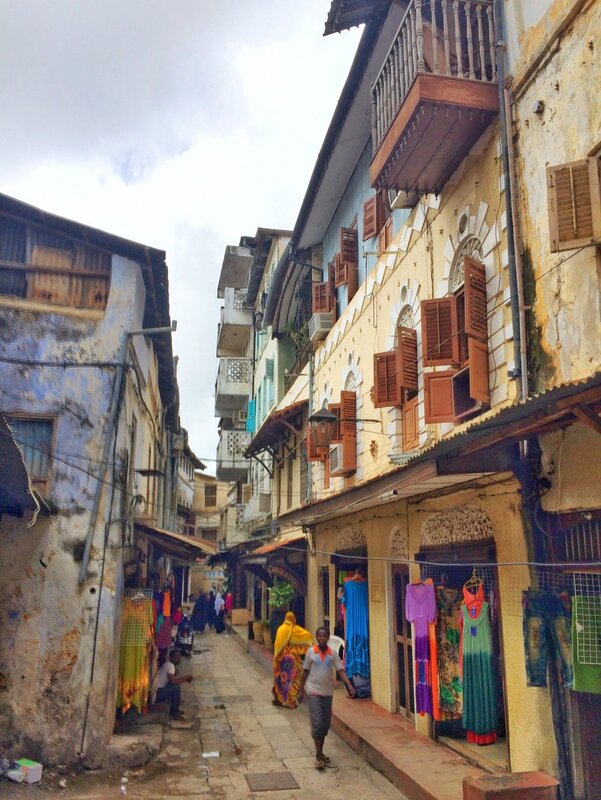 Zanzibar is one of a handful of places I have been that has (so far) been relatively untouched by the west. There's virtually no western chains of any kind on the island. The Spice Island is located just off the eastern coast of Africa. Tanganyika and Zanzibar joined to be one nation in 1964, forming what is today Tanzania. 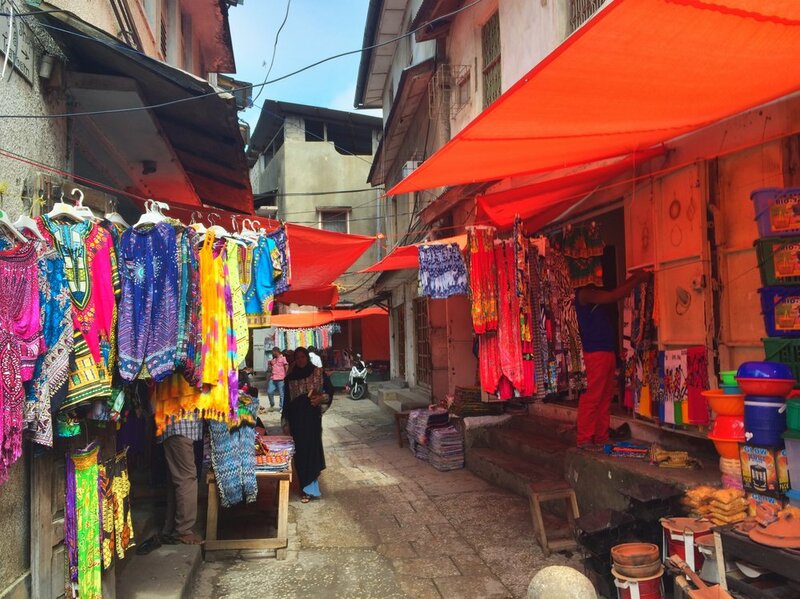 There are regular, numerous short shuttle flights between Dar Es Salaam and Stone Town, the main city in Zanzibar. We flew on board a Coastal Aviation Cessna aircraft. The flight from Dar Es Salaam was only about 20 minutes. Coastal Aviation's emergency exit instructions ... in Swahili only. Zanzibar's main airport is also served by some limited larger airlines, including jet service to Dubai and Oman, as well as chartered service by LOT Polish Airlines, and others. One day is plenty to see the main sights. A walking tour of the city lets you explore the old, narrow roads and passageways. Numerous shops and restaurants carrying local and foreign products can be found along the way. Zanzibar is known for it's old and beautiful doors. These can be found all over the island. Following our stay in Stone Town, we traveled to the remote northeast part of the island and stayed at Matemwe Lodge. There was really nothing to do but enjoy the peaceful surroundings and relax - exactly what I needed to take a break from the stress of work. Each room is a separate hut overlooking the ocean. There’s a nice breeze, but one of the drawbacks is there was no air conditioning. We managed to get by as the days weren’t that hot. Matemwe Lodge isn’t near anything. It’s 60-90 minutes drive from Stone Town, so there is little temptation to leave the resort. My friend Elias who was traveling with me did go into town one day to buy a ton of school supplies. We then walked over with one of the guides to the village just outside the resort and started handing these out to the endless crowd of very young kids. It was a really special thing to do, and I’ve never experienced anything like it. The kids were so excited just to get a pencil or notebook. The experience was well worth the effort. The first safari experience I went on was to Thornybush Game Lodge, located in the eastern part of South Africa, near Kruger National Park. Thornybush is part of a boutique collection of hotels that offer an incredible, higher end safari experience. 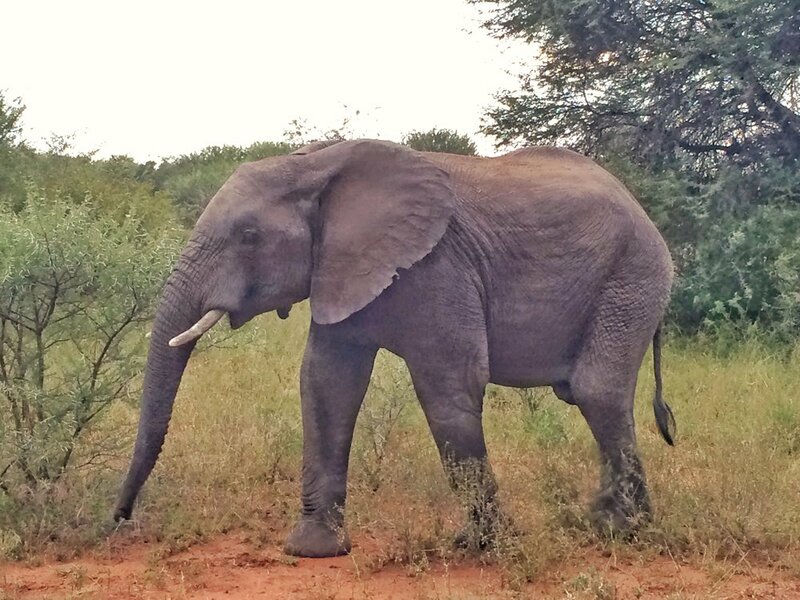 You can get to Thornybush by flying on South African Express to Hoedspruit, and then taking about a 30-45 minute (bumpy) car transfer, or fly directly to the private air strip located at the lodge. Our chartered aircraft from Johannesburg to Thornybush. Our pilot for the short flight to Safari. For the four of us, we opted for a chartered plane to the air strip, which was a great way to start this experience. They seem to be quite strict with the 15 kg, soft-sided luggage requirement. Every item is inspected and weighed during check-in. Upon landing, one of the lodge's safari trucks arrived to transfer us, and our luggage, to the lobby. We've arrived! The air strip at Thornybush Game Lodge. The lodge is situated on the bank of a river, which is dry for most of the year. The river flows only during the rainy season. There is a main building, about 20 individual cabins, and a spa facility. Private outdoor shower at a Thornybush Game Lodge room. The safari routine consists of getting up before dawn for the first game drive, coming back for breakfast, relaxing and napping through lunch, and then an evening game drive, followed by dinner. Thornybush has a very limited number of guests they accommodate at any time, so it's all done quite nicely. The food is fantastic. Each meal has a set menu which varies to include everything from pasta and salad, to an outdoor roast. 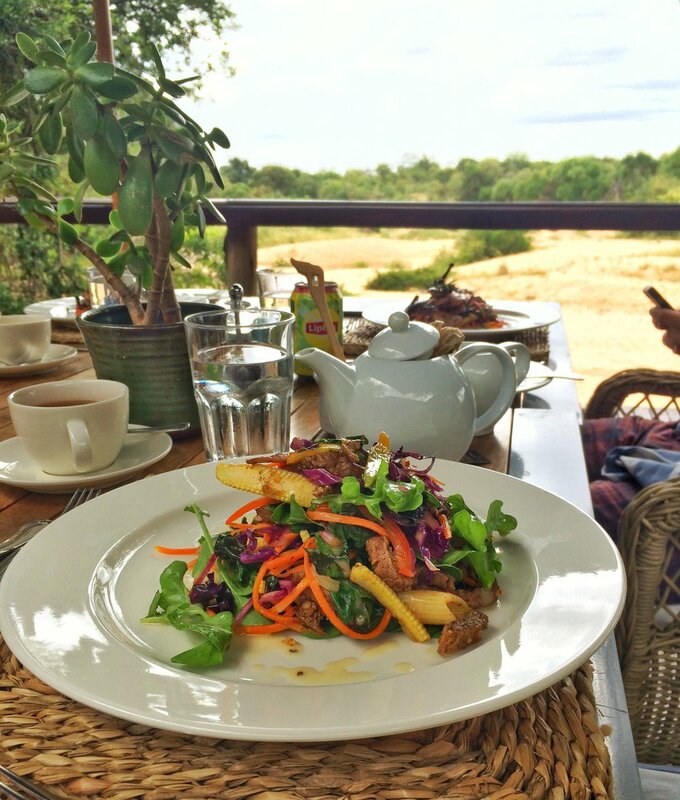 One of the many delicious meals enjoyed at Thornybush. On one of the mornings, we were surprised with an incredible breakfast setup in the middle of the safari. 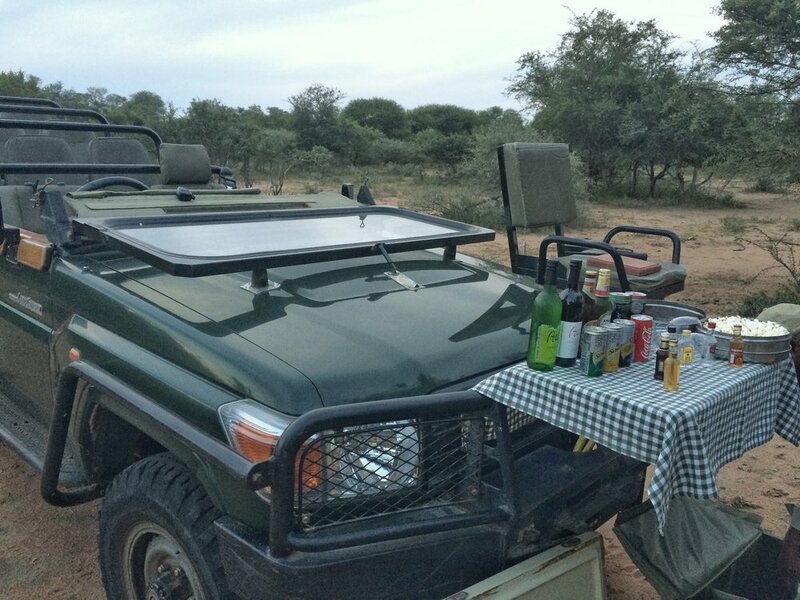 The evening game drives include a stop to watch the sunset, where the staff bring out wine and drinks, and a snack. Stopping for wine and snacks just before sunset. The only downside (or upside, depending on how you look at it) was that there's no cell service, and wifi is only available in the main building. This meant that any Facebook update with animal photos had to be done from there. On the plus side, it was nice to disconnect a little from everything. We stayed for three nights, but I'd suggest that two nights is enough. Game drives start when you get there and go through the morning you leave. The park is fenced in, and (if you're lucky) you will see most of the animals within the first 24 hours. Animals are everywhere. Including outside your door and terrace. The most common animal you see on the property is an Impala. And there's lots of them. Monkeys seem to come out while everyone is out on a game drive. It's incredible to drive up and see a lion, zebra, or water buffalo just a few feet away, in its own habitat. The experience really can't compare to anything. The animals don't seem to be afraid of you, as long as you remain seated in the safari jeep. Our tracker explained that's because they've seen jeeps since birth and have grown accustomed to knowing they are not a threat. A jeep will drive up to be right next to an animal, and it will seem the animal completely ignores it. Thornybush Game Lodge is a wonderful way to enjoy safari, and I would recommend it as a great option to anyone visiting South Africa.